Electron Beam (EB) welding is an excellent choice for applications containing refractory alloys and dissimilar materials. Advantages of EB welding technology include a high power density with very low overall heat input and, therefore, minimum distortion. 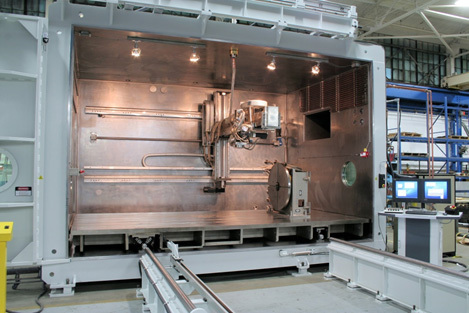 EB welded parts require a minimum of post-weld machining and heat treatment, and, unlike other fusion welding processes, requires no shielding gases. The weld quality is exceptional and the process is extremely efficient (typically 95%), carefully controlled and fully automated.